Iceland has become a popular stop-over destination for those flying between North America and Europe. Even though Iceland looks high up on a flat map, it’s actually on or near the flight paths of many routes that cross the Atlantic. This island in the north Atlantic is the literal meeting place of North America and Europe (more about that in the article) and makes for a fascinating place for a short break. If Iceland isn’t your end destination you can still pack a lot into your trip if you have a full day to spare. Having done the trip myself I recommend spending your arrival day exploring Reykjavik, and then pick one of the many Golden Circle tours that is on offer for a full day trip. You could even do this trip if you flight is later at night. Booking in advance will also save you looking around while you are in Reykjavik and be guaranteed a seat. The Golden Circle is the name given to the main tourist route that loops around southern Iceland. The route covers about 300 kilometres, with Reykjavík as the start and end point. 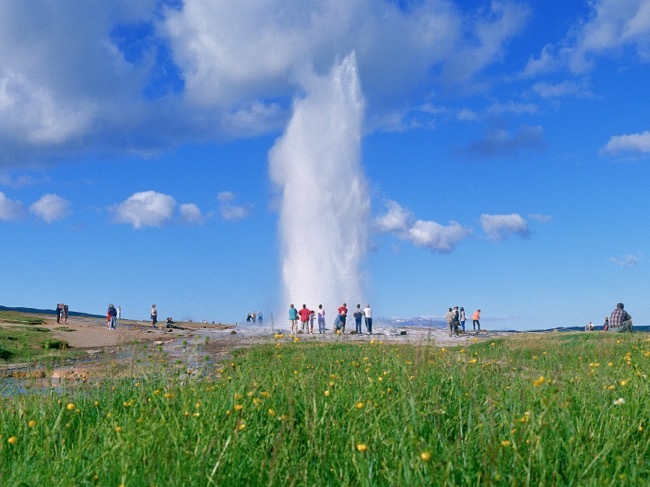 Stops on the route vary according to tour operators but the core stops on the trip are the Þingvellir National Park, the Gullfoss waterfall, and a visit to the Geysir and Strokkur geysers at the Haukadalur geothermal area. The best thing to do would be to browse through the available tours to see what additional stops appeal the most. Here are some of the highlights of the tour, including the three main stops. For many tours this is the first place to visit. The recently opened Geothermal Exhibition at Hellisheidi Power Station showcases the development of geothermal energy in Iceland. It exhibits geology, technology, and history in a very entertaining, informative and accessible way with multimedia exhibits. 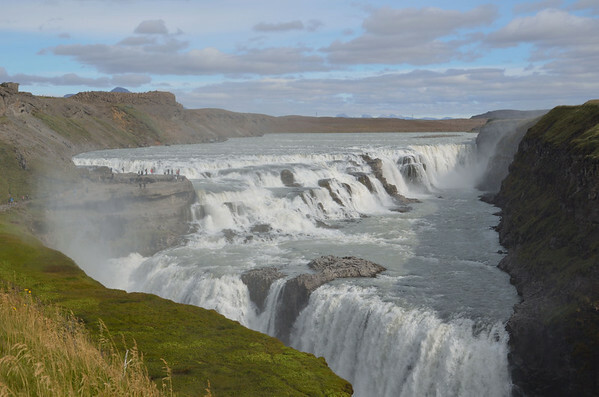 All the golden circle tours include this Gullfoss Waterfall in their itinerary. It is also known as the golden falls and is the most famous waterfall in Iceland, on the river Hvíta. You can stand close to this powerful waterfall and feel the mist of the glacial waters on your face. The water plunges into a crevice 32 meters deep creating a magnificent fall that is a great highlight of any visit to Iceland. This stop on the circuit is commonly visited after lunch on the tours. The Haukadalur valley is geothermally active area that features the famous Geysir (also known as The Great Geysir) and it’s the origin for the English word geyser (though nothing to do with geezers). Geysir geyser is mostly dormant now so you would be lucky to see it. These days the Strokkur geyser is the star of the show, which shoots a water column up to 30 meters high every 4 to 8 minutes into the air. Another place to visit is Efstidalur, which is a family farm closely located to Lake Laugarvatn. The farm features an ice cream barn which has become quite famous. You can choose different flavored ice cream they produce from the cows milk at the farm. Every tour should have an ice cream break so it is hard to by this option. The small town of Laugarvatn with a population of about 200 people is the home to Lake Laugarvatn. The lake contains geothermal springs right under its surface, with one of the hot springs connected to it being the Vígdalaug spring. The pool was consecrated by Norwegian priests when Iceland became a Christian nation, and the water was used to baptize people. Driving around the countryside in southern Iceland you will notice the abundance of greenhouses. With the land not being the most suitable place to grow food this is a vital industry for Iceland to be less reliant on food imports. This idyllic farming place offers a quick lesson on the magic behind the delicious tomatoes and cucumbers grown without pesticides. They use the geothermal heat that is in abundance in Iceland. This volcanic Crater Lake is the result of an eruption, emptying its magma reserve and leaving the volcanic cone that collapsed inwards creating the lake. It is bordered by strongly colored red volcanic rock indicating the heat that formed this natural marvel. This comes after the Crater Lake and is about 12 km from Gullfoss and Geysir. It is created along the river Tungufljot and makes a part of the golden cycle trail. The tour ends with a visit to the National Park Thingvellir. The park holds great history with remarkable geological features. 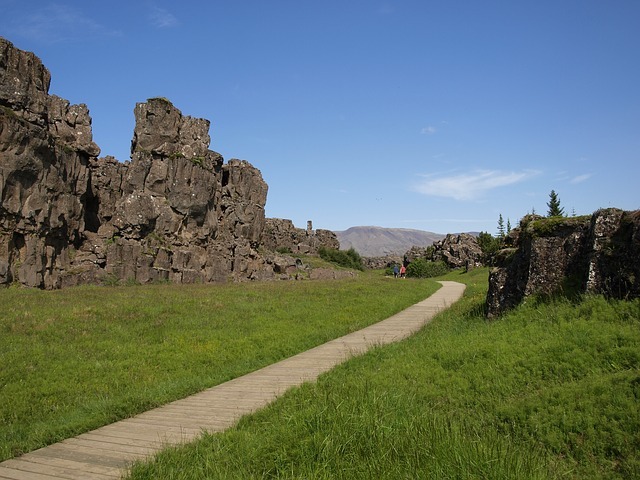 In this park is there the Eurasian and American tectonic plates meet, which move apart a few centimeters annually. The Icelandic parliament (Althing) was formed here in 930 AD, making it the oldest parliamentary site in the world. UNESCO has designated this place as a World Heritage Site. There is also the beautiful Xarárfoss waterfall close by. So that’s a general over of the Golden Circle tour. Obviously if you have more time to spare you should see more of Iceland, but this tour allows you to see the best of Iceland in a one day trip.